Smartphones are an integral part of our lives, so it's important to safeguard them. 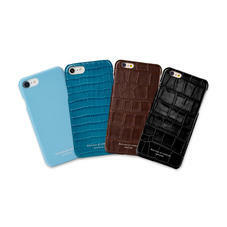 Aspinal's iPhone Cases blend practicality with an innate sense of style. 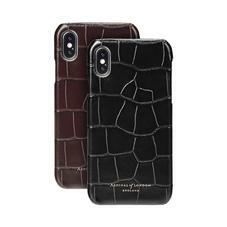 The variety of vibrant and classically muted tones express your carefully honed taste and the entire range, from our slimline iPhone cases to our spacious notebook designs, is handcrafted from the finest calf leather. Elegant design features such as the easy tab release and stand up structure further the luxury overtones. Make sure your iPhone is as stylishly dressed as you are with our luxurious range of leather iPhone Cases for men. Handmade from the finest vegetable tanned Italian calf leather in an array of signature colours and lined in super soft suede, we have leather covers and cases to fit the iPhone 7, 7 Plus, 8 and iPhone X; each leather case and cover is design offers excellent security, protection and durability for your iPhone. Most of our iPhone Cases can be personalised with up to 4 initials.